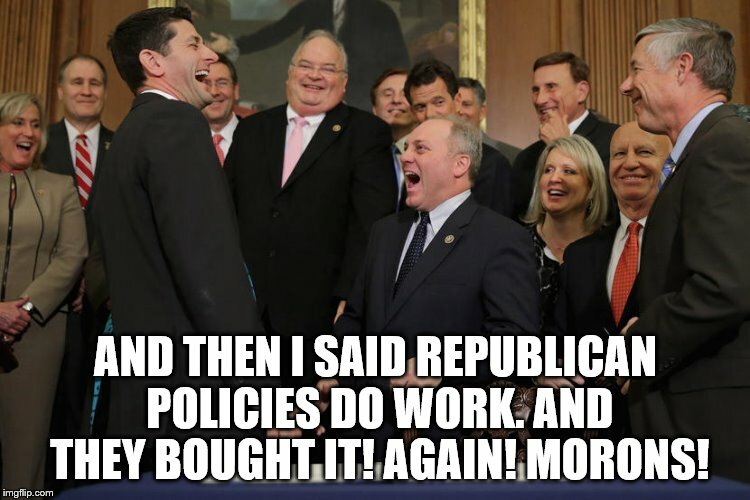 AND THEN I SAID REPUBLICAN POLICIES DO WORK. AND THEY BOUGHT IT! AGAIN! MORONS!